Discussion in 'Recording/Live Sound' started by Ccooper97, Feb 28, 2012. Alright folks. I need some earplugs, that's for sure. Any recommendations? I'd like some cheap, even attenuating ones. I'm only turning 15 in june, but I've foolishly gone to concerts, and played too many sets without earplugs (somewhere around 75 sundays on small stages with my amp loud and close to me.) and my ears are paying the price. I can barely sleep without music on because the ringing is so bad. What have you guys done to reduce the ringing? 1. avoid loud noises/sounds. Your ears need time to recover. 2. Stop using earbuds! They will kill your hearing before you know it. 3. stop drinking caffine. Yes I know it sounds strange, but I've noticed that if I knock off the caffinated drinks for awhile, it helps reduce the ringing. Get some Hearos "musicians" earplugs. They only cost $15, and you can usually buy them at a drug store. Better yet, get the foamy plugs marketed for construction workers. They sound like ****, but block out the most amount of sound. it takes awhile to get used them though. i cut the lengths down, so the outside is flush with the opening to my ear, so i don't have a 1/4" of foam sticking out of my ear. don't get cheap ones. Get some nice ones that actually are molded to your ears. 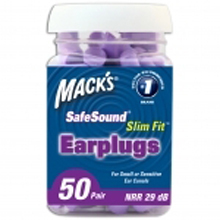 If you are really experiencing that bad of tinnitus at that young age, you REALLY don't want to cheap out on ear plugs. I have a set of Etymotic ear plugs that are like $15-20 but i don't have regular ringing, so these are good. I would really recommend going to an ear place and spending the cash to get a real set of solid earplugs. 2 reason. 1 - you can get ones made that are more designed to let all frequencies through at a reduced volume, which will allow the hearing experience to be better, and not as muffled as foam plugs. 2 - You can get them molded to your ear so they stay in better, have better blocking of sounds, allowing more comfort and piece of mind. Ears are not somewhere to cheap out on. I have 2 sets of Etymotic "cheap" plugs, and they are awesome. I use them at all concerts i go to, as well as shows i perform if im not using my in-ears. As well as when driving my jeep with the top off in the summer (wind noise is loud man) When using in-ears, also, don't turn up the volume, get in-ears that can block out external noise, so you can keep the volume down on them. Like B Money said, stop using earbuds....i only use earbuds that fit snugly so they block out external noises....this allows me to keep the volume down substantially, since i don't have to crank them over the outside noises, causing less ear damage. it's your ears man, you need them, this is a place to spend the money if neccessary to save what is left of your ears. Get to a doctor and audiologist. Now. My guess is that you will need to make serious life changes to protect your hearing. I wish it were as simple as saying "turn down". Damage has already occurred, so you need to face it head on. Proper (fitted) earplugs will help, but they are costly. I think you should consider a cooling off period where you don't play and you don't expose yourself to anything loud to see if your ears will settle down. If you are lucky, the ringing will stop and you can resume your musical life at a lower volume. Please don't delay dealing with this - it will only get worse and be harder to deal with. Dollars to doughnuts much of your problem is turning earbuds too loud. I disagree with the expensive ear buds. Those foam ones at Wal Mart do the trick just fine, but it's an adjustment for sure. This X10000 and go get the fitted earplugs. I did and you will actually wear them because you can still hear things with clarity. I have heard that a calcium/D3/Magnesium supplement can help with tinnitus. Very comfy, and they have a small port that can be opened or closed to facilitate conversation. Their design also makes it less likely that someone will bump you and send it into your brain, like some of the other "stick" ear plugs. I keep a set in a case on my keychain. Most venues also sell foam earplugs for about a buck nowadays, in case you forget yours. the foam ones work just fine. I agree to go with the westone plugs or similar custom plugs. Westones can be had for around $175 from your audiologist. I use mine all the time with the -15db filters. I can hear everything, it still feels (and is) loud. Totally satisfying, without the ear fatigue at the end of the night. can't recommend them highly enough. perfect for mowing your lawn or using a chainsaw, not so great when you want to hear your audio. custom molds are flat down -25db. I've had nasty tinnitus for over 25 years. All because I jammed with a very loud drummer in a very small room for an hour (back when I was 16 years old). I've tried lots of ear plugs. Hated them all. Even tried some musicians earplugs for 100's of dollars. Useless. Now I use ear plugs only AFTER I play. I've been doing this for 20 years. You'd be amazed how loud the room noise is in bars and concert halls. I give my ears a chance to relax and recoup after a music set. My tinnitus hasn't gotten any worse in decades. I also don't stand next to (or put up with) insanely loud drummers. Music should always be a pleasantly powerful and beautiful noise. I believe only nasty frequencies and tones hurt your hearing. I always wear plugs at rock concerts. If I go deaf: its going to be from my music and not someone elses. I like the orange cone earplugs. try a bunch of different brands till you find some comfortable ones. I'm also a truckdriver. So I wear plugs when drivin' and listening to the radio. Music in your car can be hard to hear over some engines and window noise. Don't hide from pleasant loud music. I know many senior's who have mostly lost their hearing and never enjoyed loud music. Live life to the full. Hearing is like eyesight. Also, I wen't to a concert last night, used foamies, but they wouldn't stay in, so I found a spot behind the pa that was significantly quieter. Got to enjoy my favorite band live, with a non ear-piercing volume! I've had many a friend with tinnitus over the years. This is a protocol I've found to be particularly effective. This protocol will probably set you back 60 to 80 dollars a month at your local health food store and it can take 2 or 3 months before you see results since you are essentially dealing with nerve damage or in some cases, atrophy of the nerve endings. This can also be helpful for similar disorders like Diabetic Neuropathy or Bells Palsy. It's also a good idea to stretch and rotate your neck to stimulate circulation to the inner ear. If you have any circulatory problems, (hemorrhoids, varicose veins, numbness and tingling in the extremities) add the following. Be sure to consult a physician if you're currently on any medications, especially blood pressure medications, as these supplements can improve circulation, requiring you to lower the dosage of some drugs.